Broken Age is a game that started as a campaign on Kickstarter for fans to fund a point and click adventure with a team led by Tim Schafer, and including input by Ron Gilbert (although only in the planning stages), under the working title of Double Fine Adventure. The game tells the story of a boy and a girl living parallel lives. The girl has been chosen by her village to be sacrificed to a terrible monster--but she decides to fight back. Meanwhile, a boy on a spaceship is living a solitary life under the care of a motherly computer, but he wants to break free to lead adventures and do good in the world. 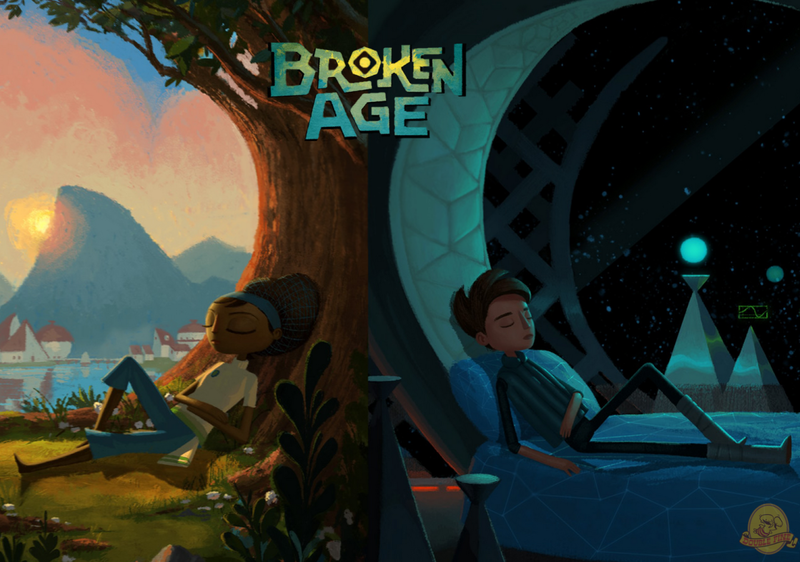 Broken Age is being built for Windows and will be released on Steam and in a DRM-free version. The game will also be released on Mac, Linux, some iOS and Android devices including Ouya. Other versions may follow. It was originally scheduled to be released during October 2012, but the budget is larger than originally expected so the team moved the release date back, first to September 2013, and then to early 2014 in order to take the time needed to make the game with higher quality assets than originally planned. The game will at first be released in two parts through Steam Early Access, and then will be released as one full game for full release. The first part was released in January 2014. The final part is scheduled to be released in early 2015. A boy and a girl live parallel lives, where each has to do something that they don't want to do, so they decide to rebel. The two must now deal with the consequences of each of their actions.